Bulk Print Runs – What Are They & What Are Their Benefits? In advertising, bulk print runs refers to the process of printing large quantities of marketing materials in one go. For instance, this might mean printing several hundred thousand A4 sized posters at once which you can then distribute over time according to your needs and requirements. At Independent Letterbox Distribution Company, we can provide bulk printing services for you and your company to take advantage of. Our goal is to provide the services and facilities you need to maximise your advertising capabilities, helping you to communicate with as many prospective customers as possible. To assist you, our specialists have compiled this blog post that contains useful information about the benefits of bulk print runs as well as detailing the special prices we offer for clients who wish to make use of our bulk printing facilities. Bulk printing offers a number of fantastic benefits for your business. For larger organisations, bulk printing can be used to print large volumes of materials on a regular basis to meet requirements. For example, they might want to organise a large-scale mailing ad campaign or plan to distribute thousands of newsletters to prospective customers. These advertising campaigns can be highly effective at raising brand awareness, generating interest in your products and services, and increasing your profits. The other major benefit of bulk print runs is that they tend to more cost-effective than lower volume printing. This means that printing a larger amount will provide you with better value than printing a smaller amount. The money you save on printing can be used for other purposes, including improving the quality of the materials you want printed. 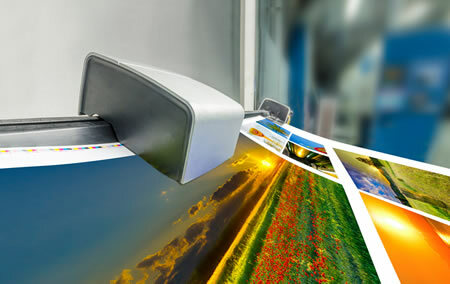 Other benefits of bulk print runs include quick turn-around times and the easy application of different printing methods such as inkjet or laser printing. At Independent Letterbox Distribution Company, we can help you maximise your return on investment by cutting the cost of printing through our February bulk print run. We are proud to say that you will not find these prices for bulk print runs anywhere else in Australia. On top of these great prices, we also offer free storage for your flyers for up to three months. Furthermore, you can receive our lowest distribution rate when ordering your bulk print run. Contact us today to learn more – but act fast, as spaces are limited. The specialists at Independent Letterbox Distribution Company can provide the professional assistance you need when it comes to bulk print runs. To learn more about our bulk print runs or to take advantage of our current special, get in touch with us today. Simply call us on 1800 538 837 or complete our quick online contact form and we’ll respond as quickly as possible.